December 12, 2003. 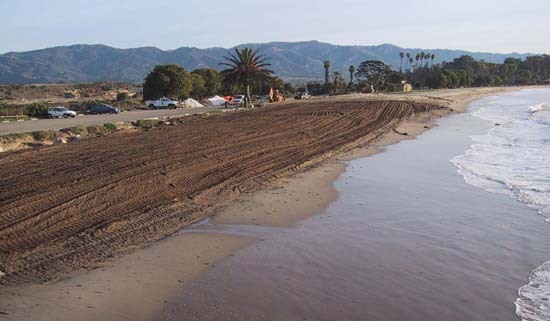 View east of west Goleta Beach and parking lot after emplacement of 20,000 cu. yds. of pebbly sand dredged from local creeks that empty into Goleta Slough. Note how some of the rocks in the revetment are partially covered. ©AGS, 2003. 18 February 2004. 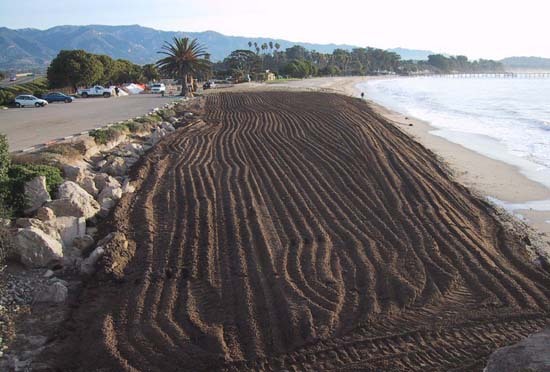 View east of west Goleta Beach and parking lot during emplacement of 60,000 cu. yds. 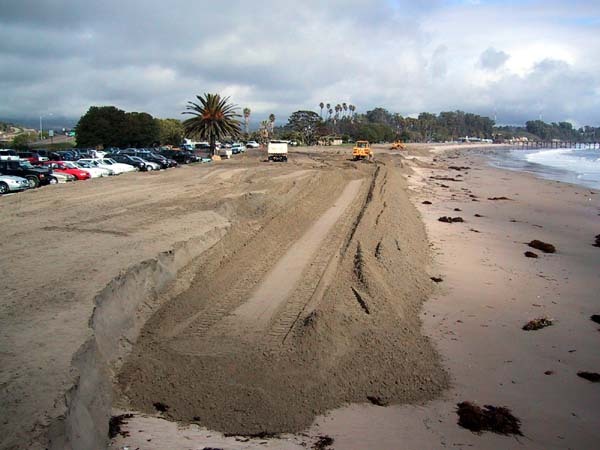 of sand scooped from Leadbetter Beach in Santa Barbara and trucked to Goleta Beach. Note how the rocks in the revetment are completely covered, and note the width and depth of sand. ©AGS, 2004. 12 April 2004. 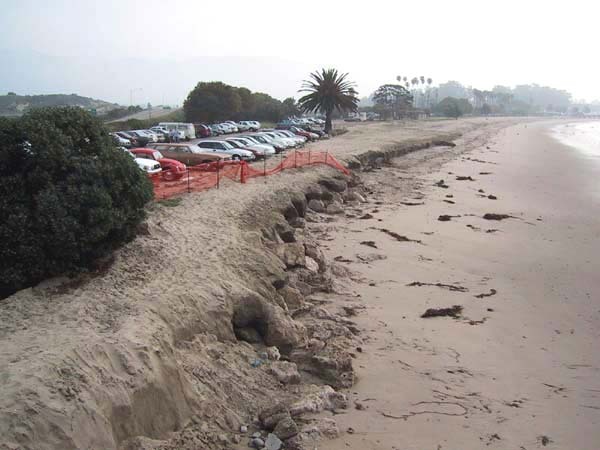 View east of west Goleta Beach and parking lot after high sea swell of 26 February 2004. Note how some of the rocks in the revetment are partially exposed and that much of the sand emplaced in the mid-February is gone. ©AGS, 2004.